The Fox can be found in the picturesque village of Chetwynd Aston, just minutes from the market town of Newport in Shropshire. 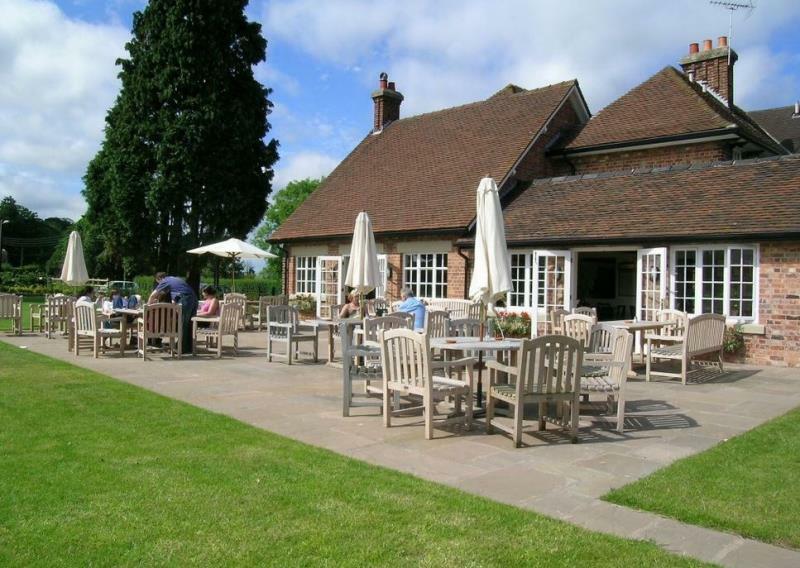 This large Edwardian style pub surrounded by glorious Shropshire countryside, features in many well-regarded Pub Guides including Michelin and the AA. Leading off from the handsome central bar is a series of rooms and private nooks and crannies, with cosy fires in winter and a pleasing mismatch of tables and chairs. There's also a large vaulted ceiling room with lovely views of the fields and wooded hills beyond and a mature garden for al fresco dining. Guests are welcome to pop in for a relaxing drink while reading the papers or there's a selection of board games for your enjoyment as well. However, it's the food that is a big draw here, featuring starters in the shape of crab and ginger fish cakes with pineapple and sweet chilli jam and pickled cucumber or asparagus with poached egg, hollandaise and parmesan shavings. Main courses move in the realm of sesame belly pork and rice noodle salad with mint, coriander, chilli and lime dressing or pan fried sea bass fillets with mussels, clams and samphire in white wine sauce and saffron potatoes. Desserts bring on board such delights as waffle with boozie cherries and vanilla ice cream or peanut butter and chocolate tart with salted caramel ice cream. The wine list is an international slate that includes brief tasting notes to help you with your choice.